Support and empower each METCO student to achieve their academic potential through active student engagement, self advocacy, and building interpersonal relationships with administrators, faculty and staff. Analyze relevant data (including bi-weekly progress reports from teachers) to ensure each METCO student remains on good academic footing. Identify current and potential needs or problem areas hindering the academic success of each METCO student (e.g. lack of study skills, reading comprehension, attendance issues, lack of discipline at home, lack of expectations from both the student and parents, etc.). Develop an academic plan to include: students access to remedial academic supports, short and long term goals, and expectations regarding academics, attendance and behavior. 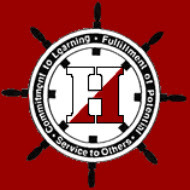 Assist and guide each METCO student through their curricula demands, and strategize ways in which we can balance their academic and social life as they endeavor through their education in Hingham Public Schools. Hold high expectations for each METCO student. Hingham METCO students must realize that they are in a level two district that values academic excellence and encourages students to have a degree of power over their own education. Emphasize to each METCO student the importance of time management which is critical to student success. Engage with each METCO student in a way that highlights their strengths, and interests, while guiding them to put forth those strengths and interests into valuable real-life experiences. METCO, which stands for the METropolitan COuncil for Educational Opportunity, was established in 1966. For almost 50 years, METCO has changed the racial composition of the participating districts and has become a national model for school desegregation. The METCO program works to eliminate racial imbalance through the busing of children from Boston, MA and Springfield, MA to suburban public schools in the 38 communities where the program operates. METCO continues to provide opportunities for urban and suburban students to experience diversity, learn to respect human differences, and celebrate the richness of a multicultural setting. The METCO program is funded primarily through an annual appropriation in the State Budget, which must be approved by the Legislature and is managed by the Department of Elementary and Secondary Education.